Theodore Kornweibel Jr. is a San Diego State University emeritus professor of African-American history. He joins us today to talk about his new book, Railroads in the African-American Experience: A Photographic Journey. Theodore Kornweibel Jr. is a San Diego State University emeritus professor of African-American history. He joins us today to talk about his new book, Railroads in the African-American Experience: A Photographic Journey. Before the Civil War, the entire southern railroad network was built, almost exclusively, by slaves. 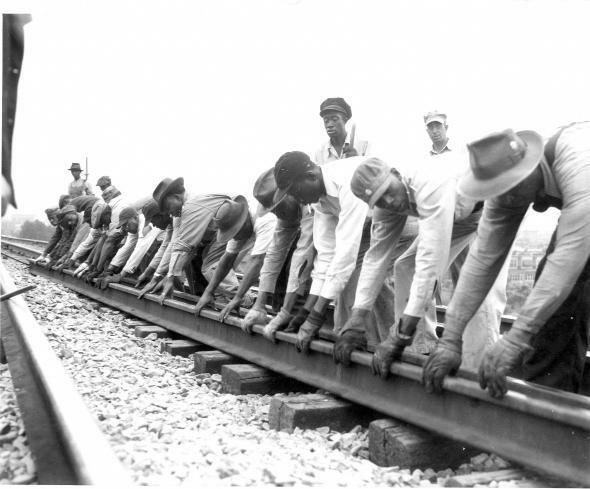 Railroad companies owned slaves or rented them form slave owners. Later, the railroads were considered a viable alternative to the limited employment options available to African-Americans in the south. The relationship of the African-American experience and the American railways runs deep, and we’ll examine that history (and Kornweibel’s amazing book) in our first hour.